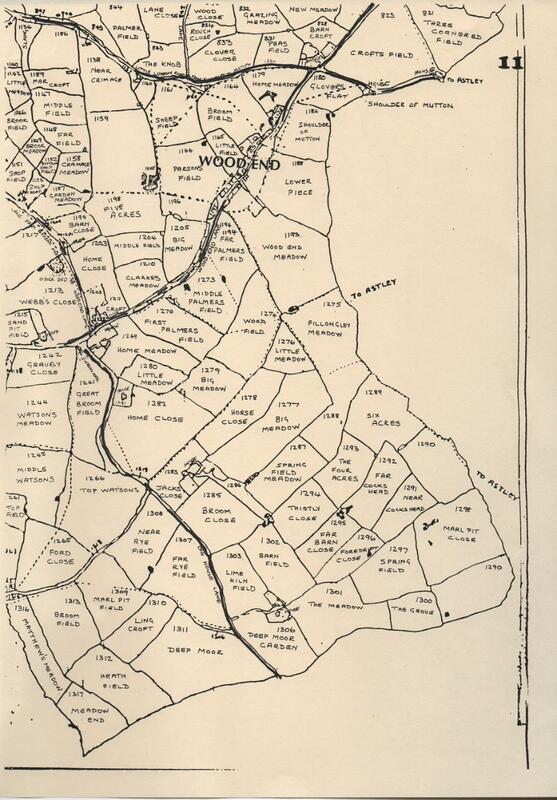 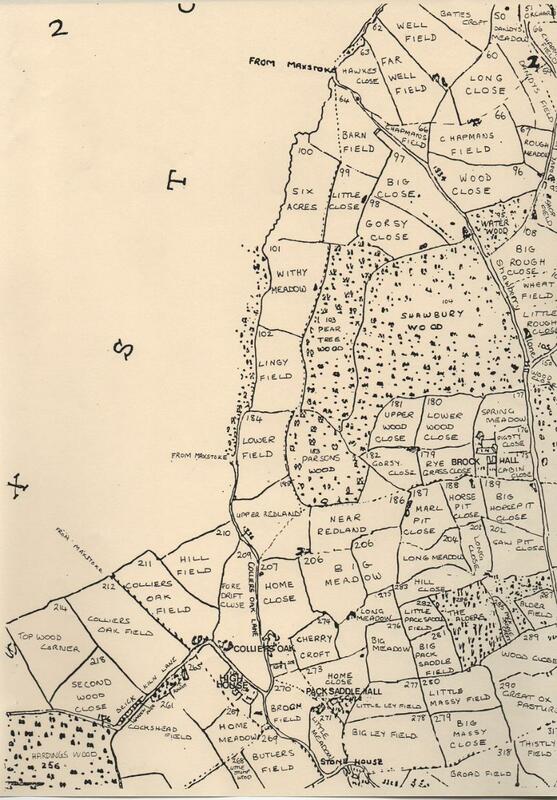 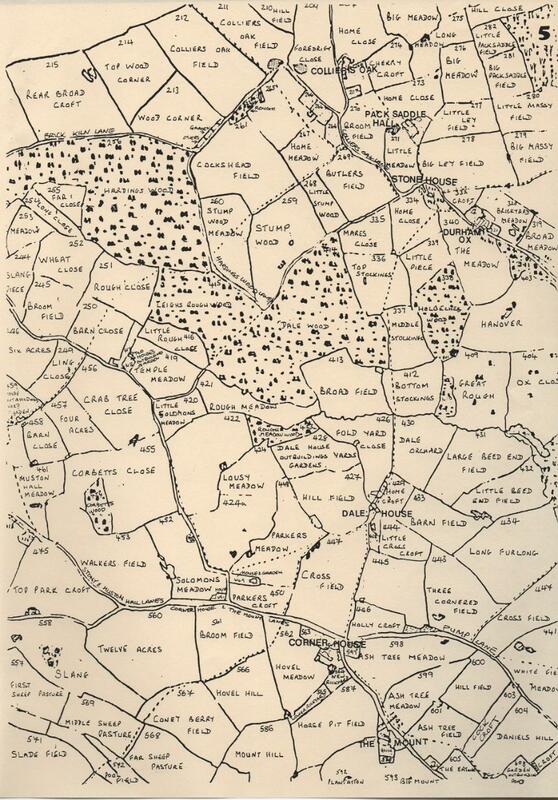 FILLONGLEY FIELD NAMES BOOKLET WAS COMPILED FROM THE 1844 TITHE MAP. 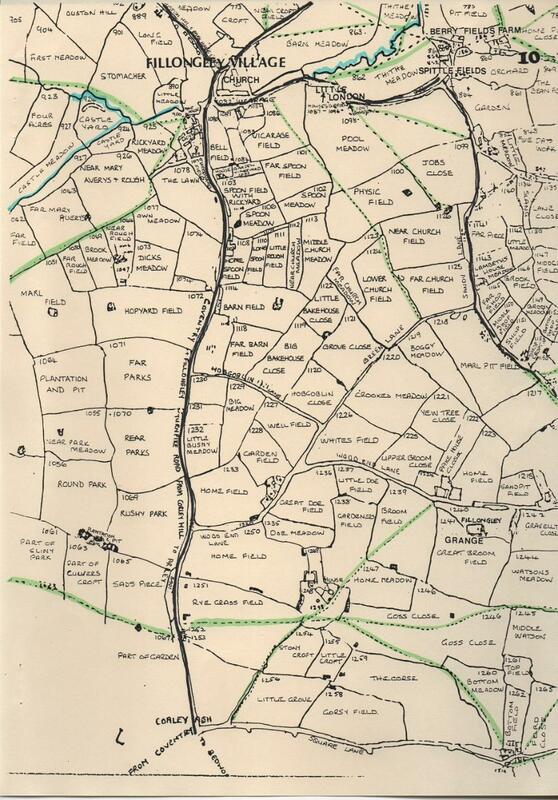 The original map is held at Warwick Record Office and Fillongley Parish Council have a copy. 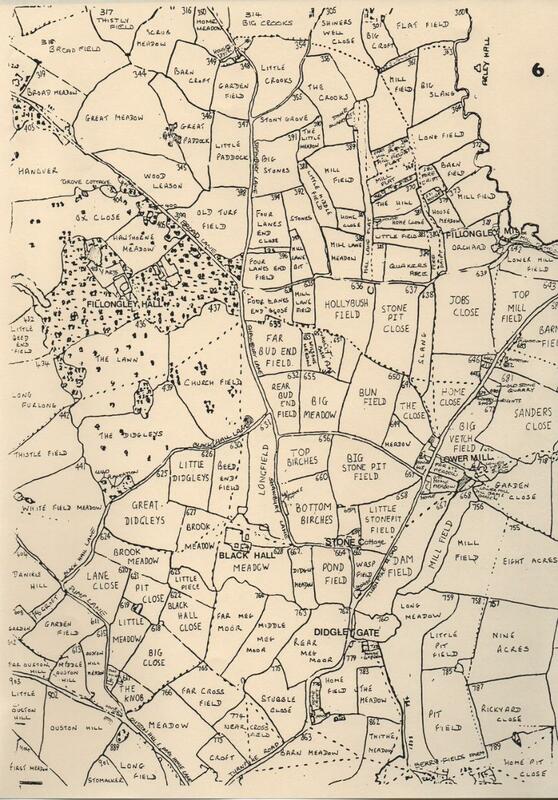 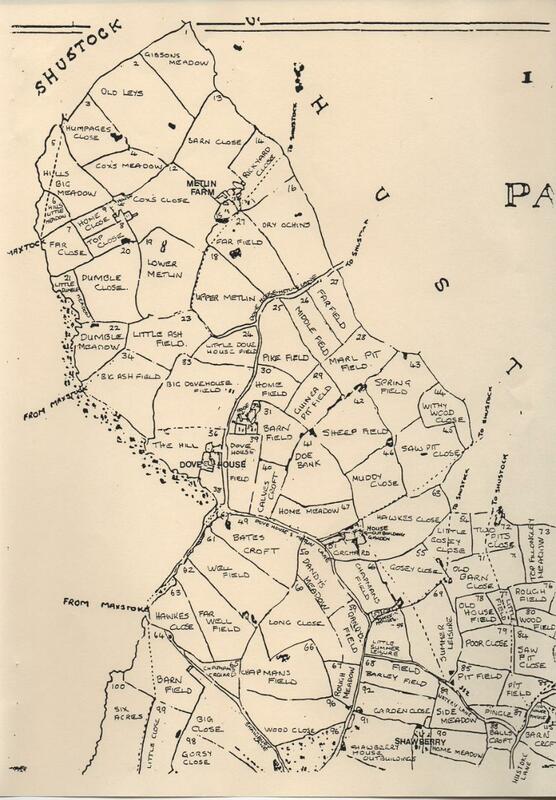 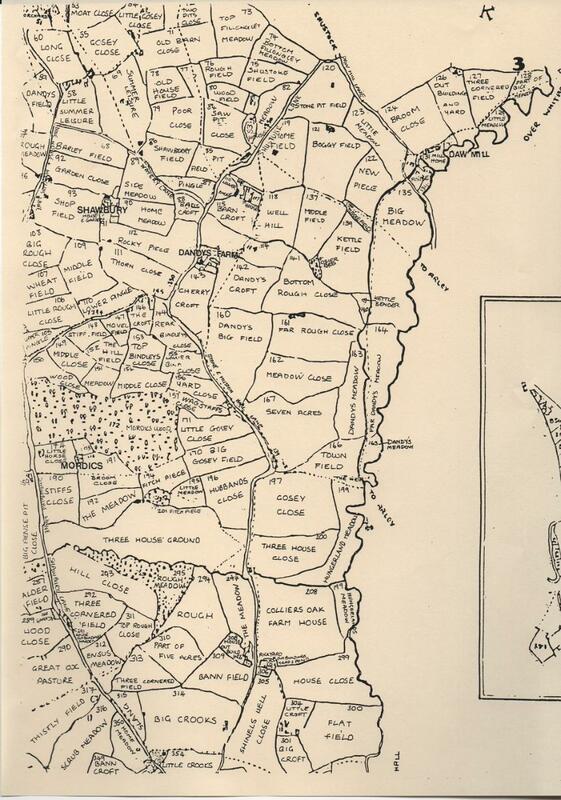 Fillongley is a very large parish and the map is also large and the mapping unlike modern maps. 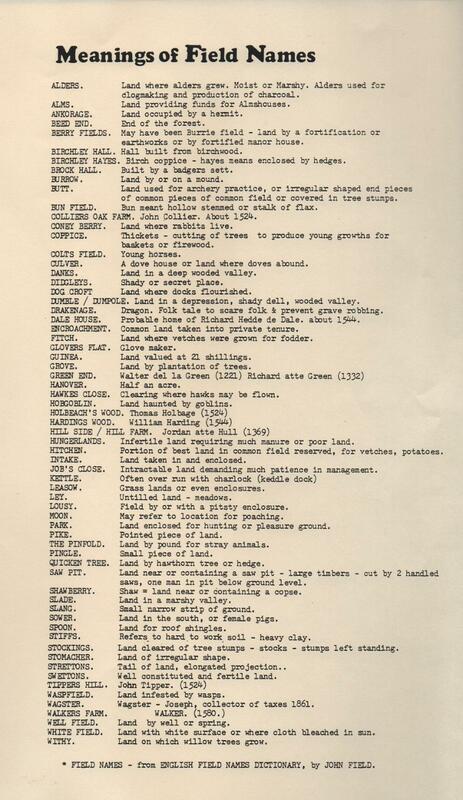 Each field has a name - and a number which relates to the tenant / owner of the field. 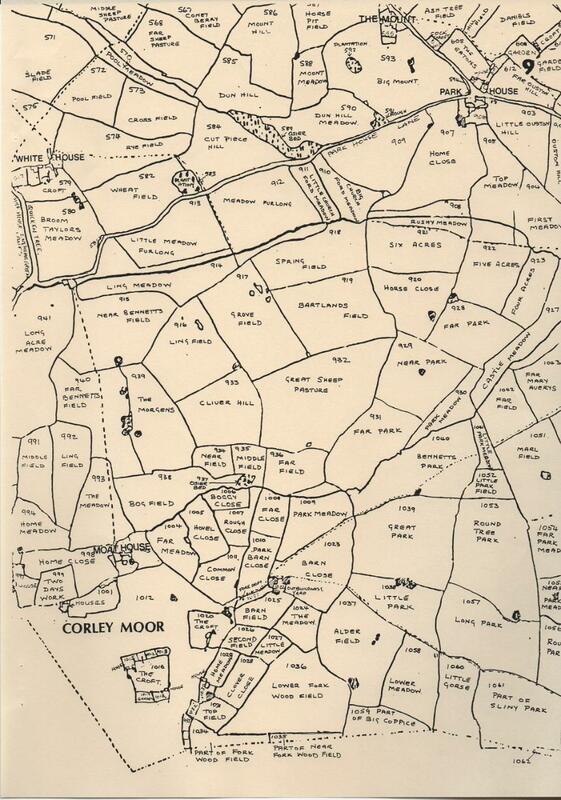 The map was copied out and hand written to make a booklet by members of the Fillongley Local History Group. 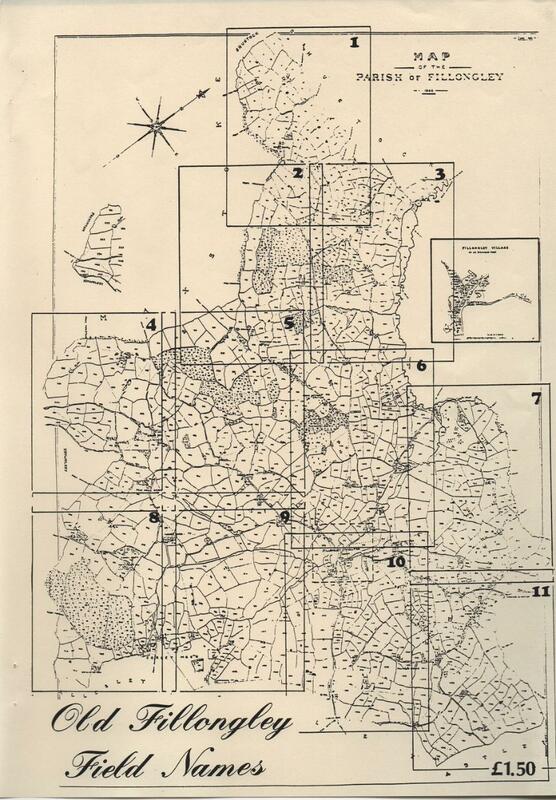 It is free of copyright and you are welcome to reproduce the pages. 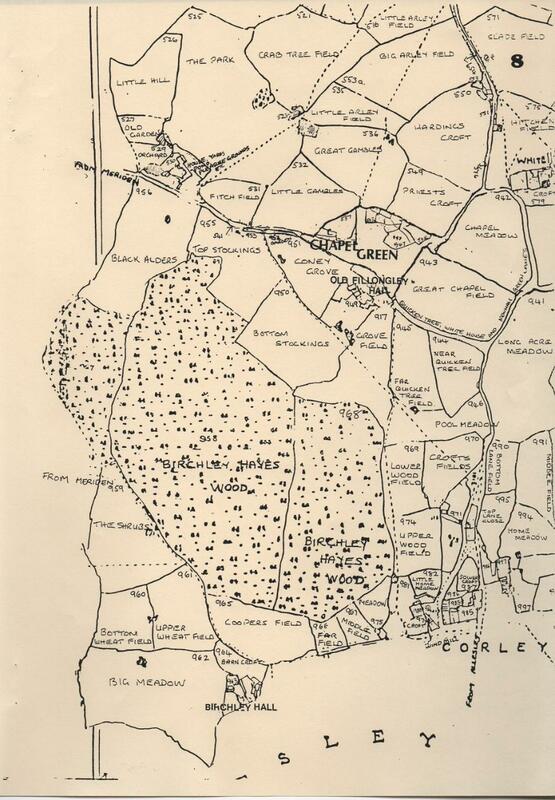 A 'tithe' of 10% was expected by the Church / vicar - but in Fillongley's case, the vicar complained that he was kept very poor! 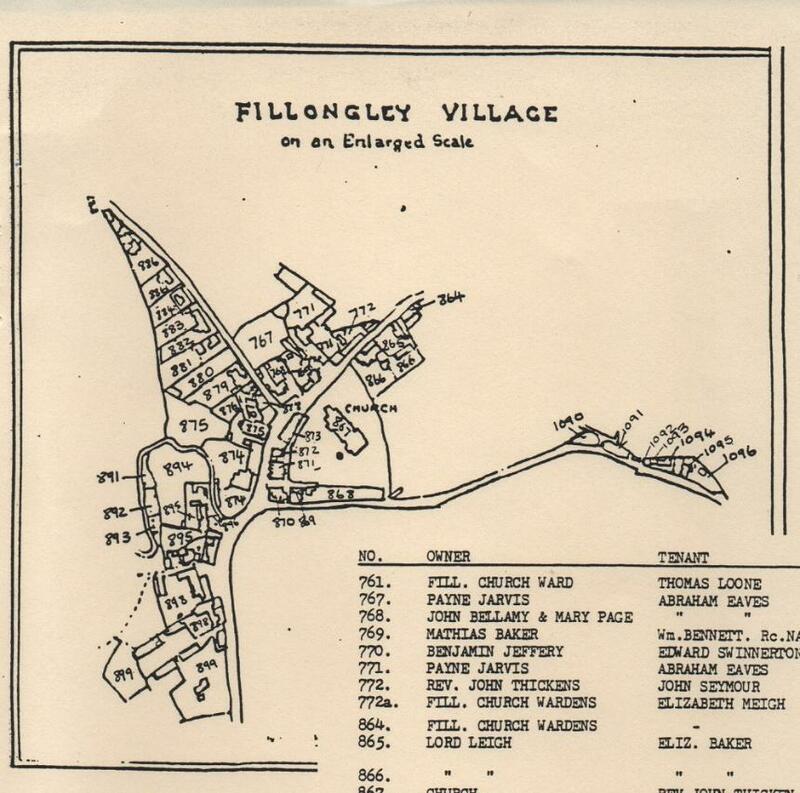 The names of tenants / property owners for Fillongley Village 1844 are recorded on page 12-13. 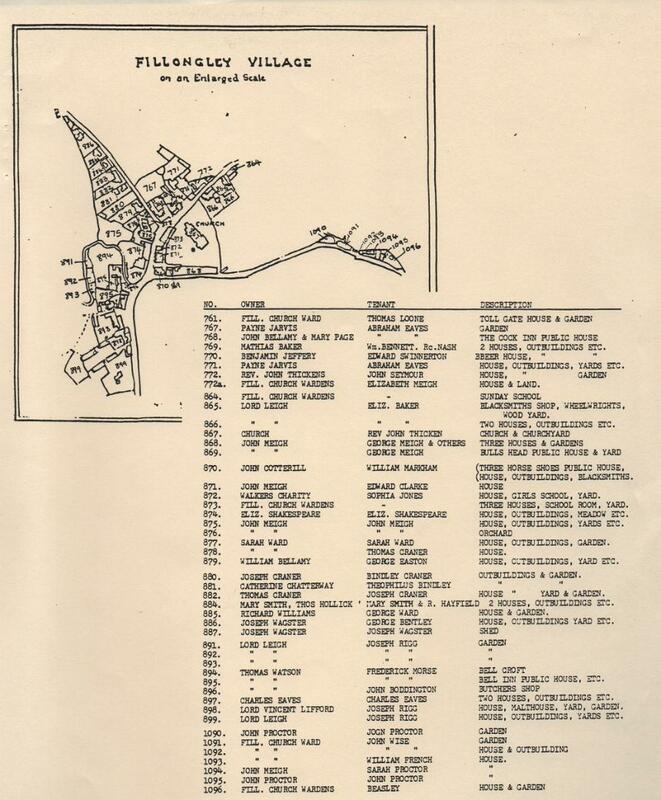 The derivation of some of the field names are at the end. 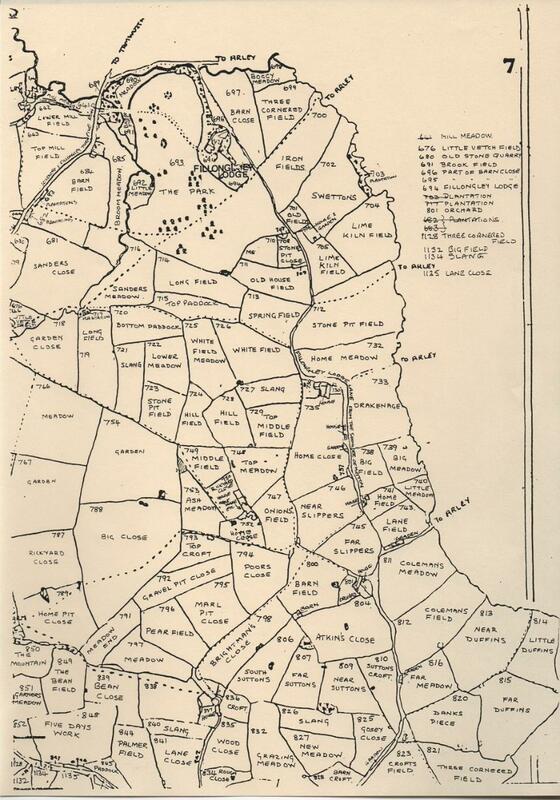 We have not recorded the names of tenants or landowners of the fields and these should be available at Warwick Record Office. 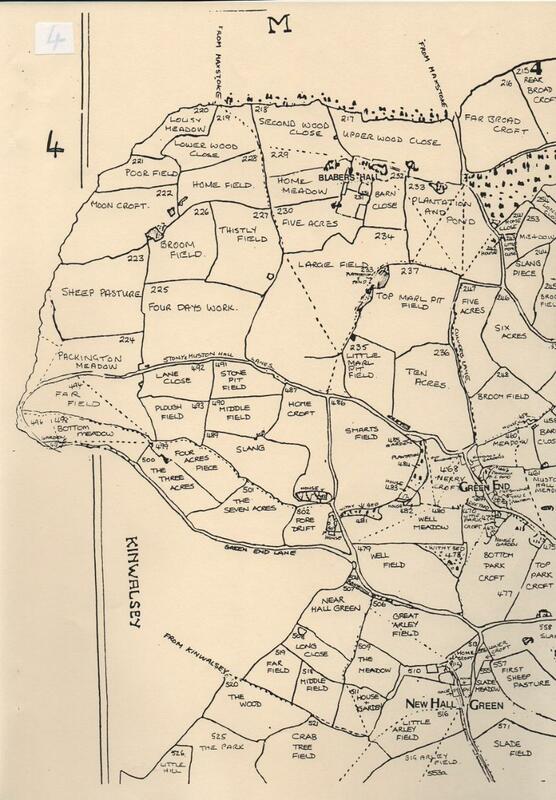 If you have any old maps or documents we can copy for the web site - please let us know.